"San Marco Grocery's world famous Thai Ginger Soup! 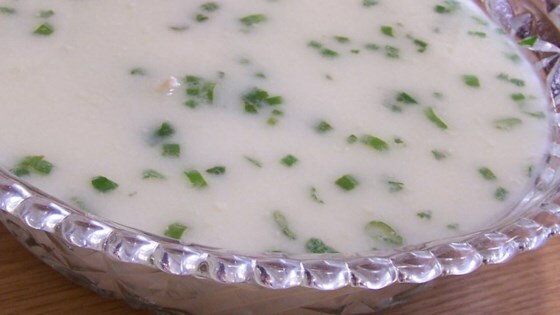 A simple coconut milk base with chicken breast strips, ginger and cilantro. Garnish with red chilies and cilantro sprigs." This was a big hit. I added snap peas and substituted the water for chicken broth. Very good. I served it over rice with brocolli. My husband loved it.